This time last year it rained, it was proper chilly and there was no Curbar Commotion. This year there was, plus it was sunny, warm and dry – what a difference a year makes. 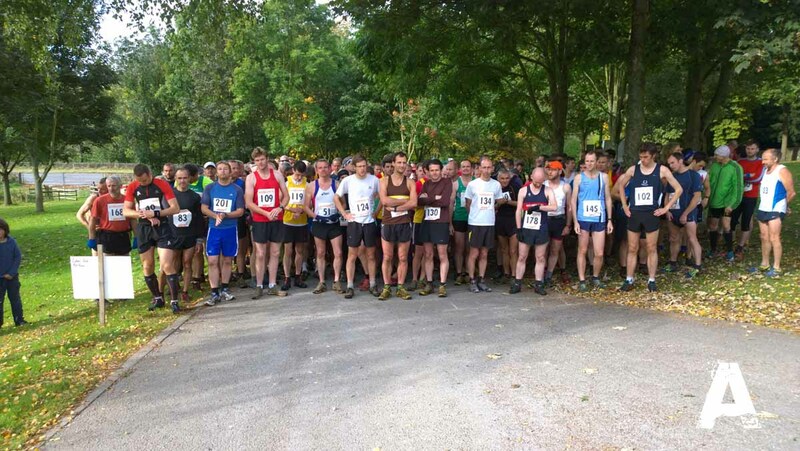 So year one of the Curbar Commotion and the first you worry about as a race organiser, ‘Is will anyone come along?’ Well the CC organiser need not have worried as a touch over 210 runners rolled up. From the moment they arrived it was clear the organisation was going to be good. Registration through to the facilities available at Cliff College ensured everyone was looked after, what ever the weather, although the high numbers did cause a strain on the available parking. Everything was on site, easy to find and registration was fairly swift. Along Froggat the racers climbed, before they turned across the moor and headed over to White Edge, the summit of the race. In poor conditions this will prove to be a slow section as even today it was a touch soggy on the single track (trod) through the heather. The race then rolled back via Wellington’s Monument, through the woods and back to Curbar and the finish. Bondy had raced away at a good tempo and was simply too good for anyone else on this day. He looked like he was cruising, chatting to those he knew as he went around. Well it’s all right for some, I guess, but he did finish around 3-minutes clear of his nearest rival in a time of 54:10. 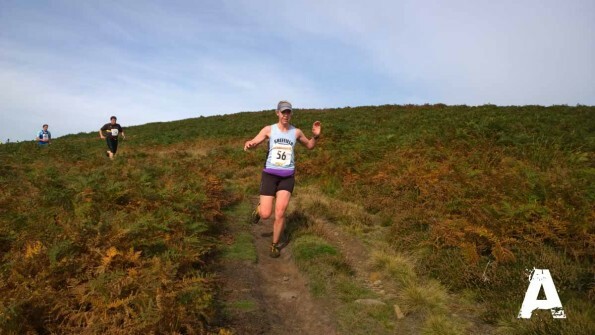 That said, it is great that each year he supports local races and continues to race the Gritstone Series and is an approachable chap happy to talk racing, training and generally running in the Peak. All bar the counting it does look like he has the Gritstone Series in the bag. 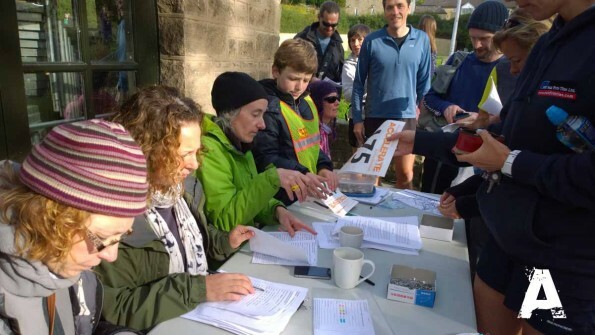 Bondy, like so many others, was quick to thank the organisers and he felt the day was well organised and marshalled and the home made cake on offer to all the racers a definite plus point! The women’s race was less straightforward. The eventual winner Clare Thompson, was quite surprised to hear she was leading at around 8k, although the chasing pack was not far behind. 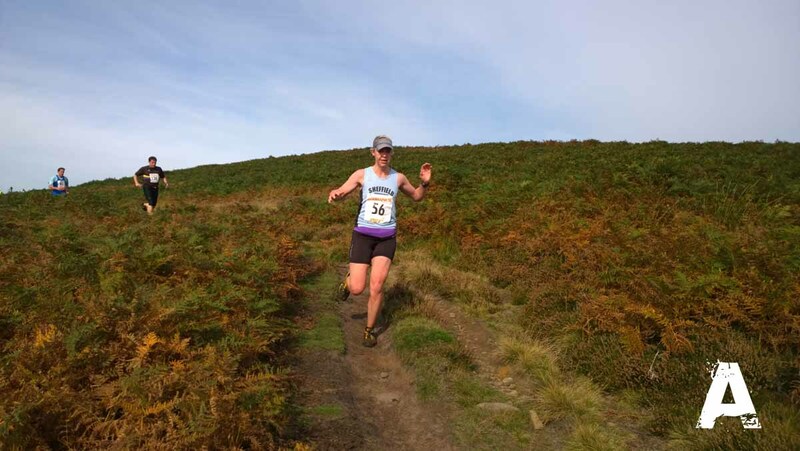 Although more noted for her road running than her time spent on the fells, she could perhaps reconsider and have a look at a few more hills going into 2015 – well why not? So all in all the Curbar Commotion was a success and will be welcomed back into the Gritstone Series for 2015. The series next year promises a few changes and a move in a new direction for the Series. 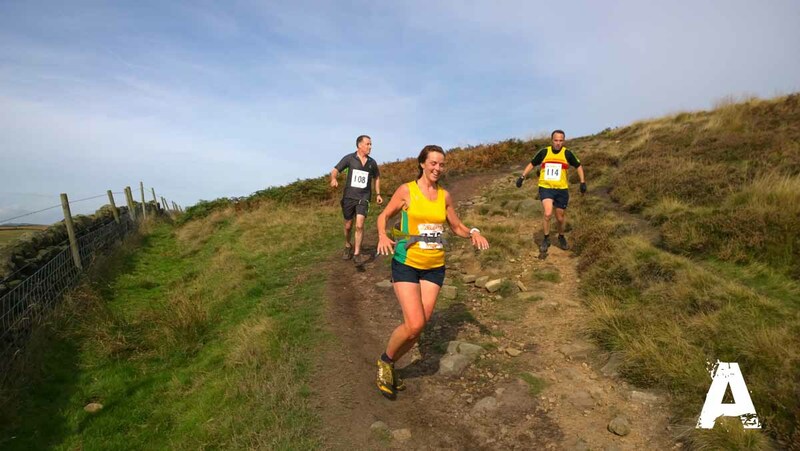 The good news is that current sponsors of the Series Inov-8 think it is a great idea and have promised to continue their support of what they described as the premier Series in the Peak District. The Gritty Series, too, is set to continue as we encourage the youngsters to get involved and give the challenge of fell running a go.